Keith Makoto Woodhouse discusses The Ecocentrists: A History of Radical Environmentalism. A Q&A and signing will follow the discussion. About the book: Disenchanted with the mainstream environmental movement, a new, more radical kind of environmental activist emerged in the 1980s. Radical environmentalists used direct action, from blockades and tree-sits to industrial sabotage, to save a wild nature that they believed to be in a state of crisis. Questioning the premises of liberal humanism, they subscribed to an ecocentric philosophy that attributed as much value to nature as to people. Although critics dismissed them as marginal, radicals posed a vital question that mainstream groups too often ignored: Is environmentalism a matter of common sense or a fundamental critique of the modern world? 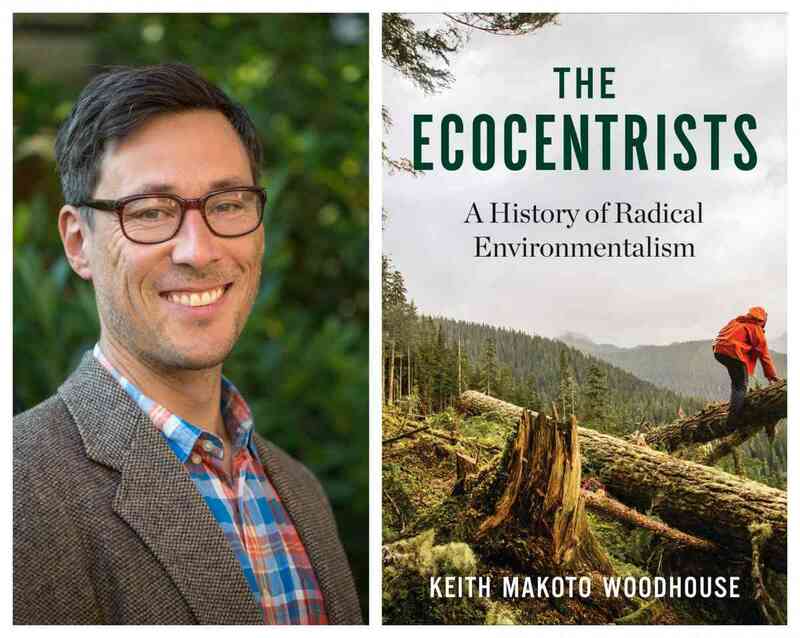 In The Ecocentrists, Keith Makoto Woodhouse offers a nuanced history of radical environmental thought and action in the late-twentieth-century United States. Focusing especially on the group Earth First!, Woodhouse explores how radical environmentalism responded to both postwar affluence and a growing sense of physical limits. While radicals challenged the material and philosophical basis of industrial civilization, they glossed over the ways economic inequality and social difference defined people’s different relationships to the nonhuman world. Woodhouse discusses how such views increasingly set Earth First! at odds with movements focused on social justice and examines the implications of ecocentrism’s sweeping critique of human society for the future of environmental protection. A groundbreaking intellectual history of environmental politics in the United States, The Ecocentrists is a timely study that considers humanism and individualism in an environmental age and makes a case for skepticism and doubt in environmental thought. About the author: Keith Makoto Woodhouse is an assistant professor at Northwestern University, where he teaches in the History Department and the Environmental Policy and Culture Program. About the interlocutor: Benjamin H. Johnson is an Associate Professor in History at Loyola University Chicago. He is the author of Escaping the Dark, Gray City: Fear and Hope in Progressive-Era Conservation (Yale University Press, 2017).